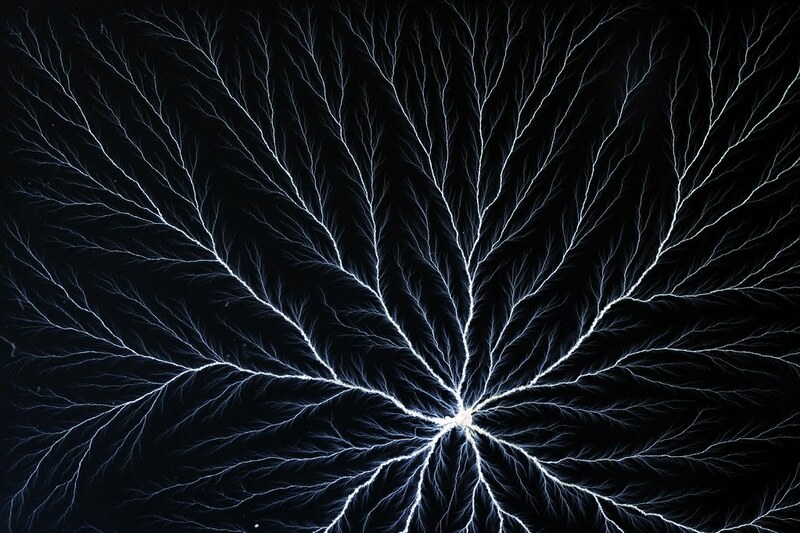 During my recent interest in fractal geometry, I came across these unique and fascinating artforms called Lichtenberg Figures (sometimes referred to as “Captured Lightning”). 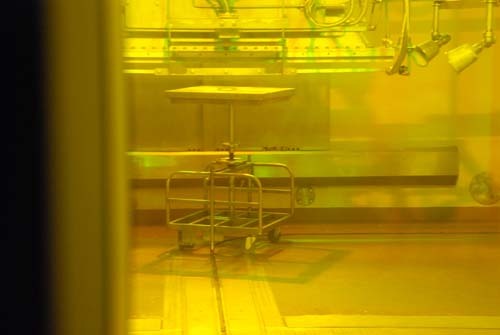 Named after Dr. Georg Christoph Lichtenberg, who was the first to observe the phenomenon, modern-day figures are created by irradiating a clear acrylic block with high-energy electrons from a linear accelerator. 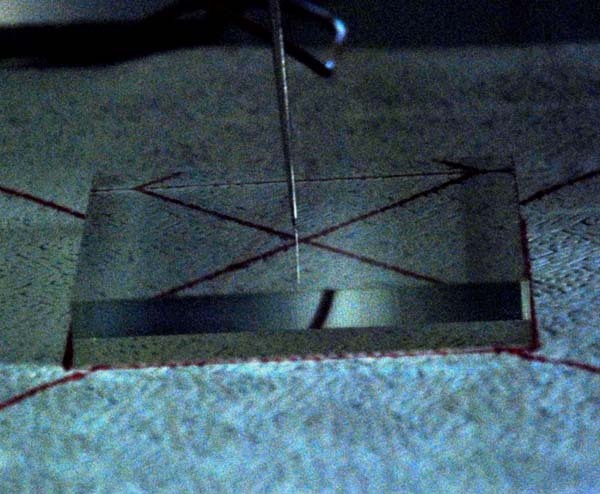 The electrons become trapped inside the acrylic block and create a cloud of negative electrical charge inside. 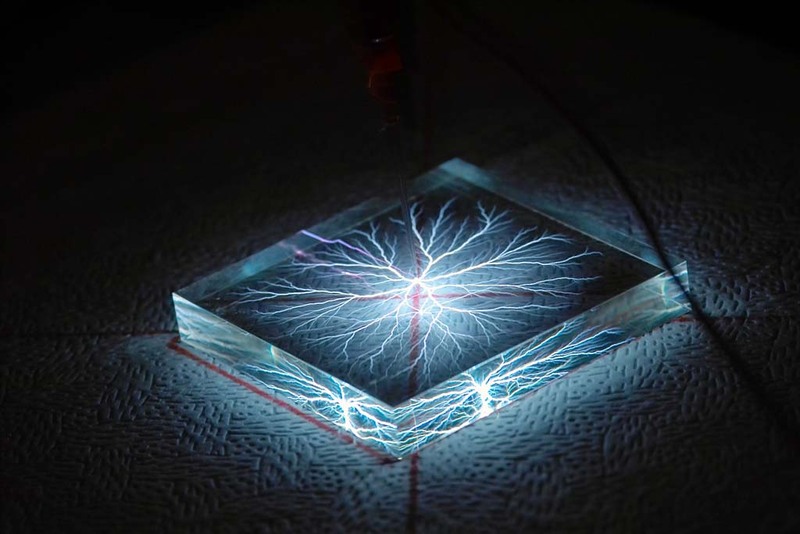 The acrylic is then discharged at a specific spot, and all that pent up energy breaks down within billionths of a second and exits the block, creating a fractal network of microscopic fractures. 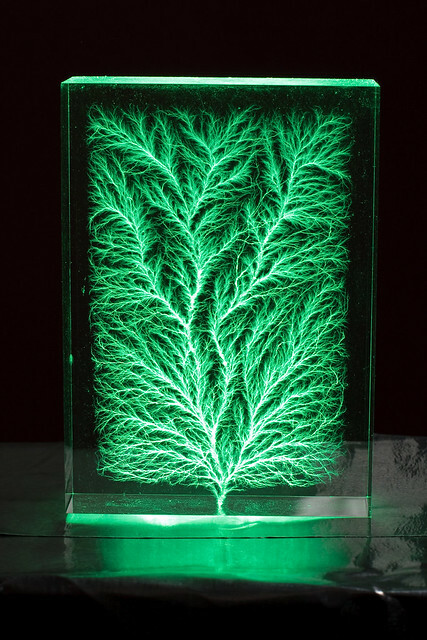 The result is a beautiful electrical fossil that looks incredible when illuminated from the exit point – almost like fiber optics. I would love to be able to try my hand at making some of these. Unfortunately, I don’t happen to have access to a 4-story linear accelerator. 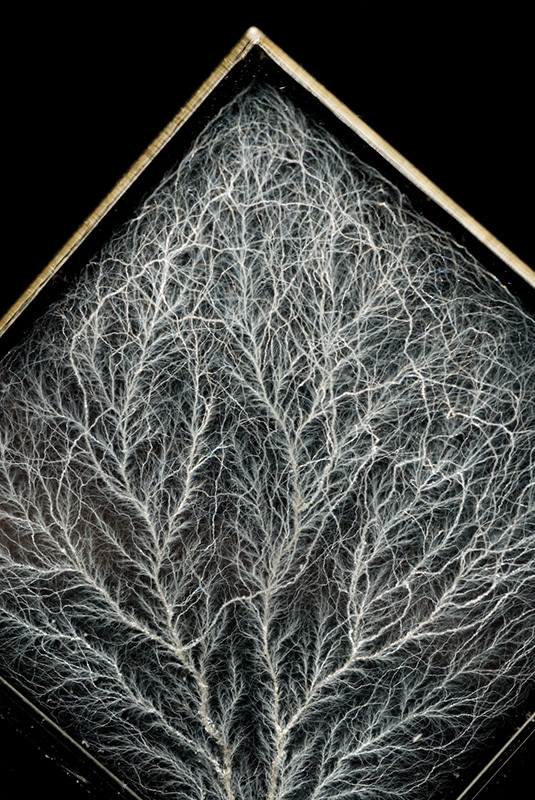 But these guys do, and their work is a breathtaking combination of science and art. 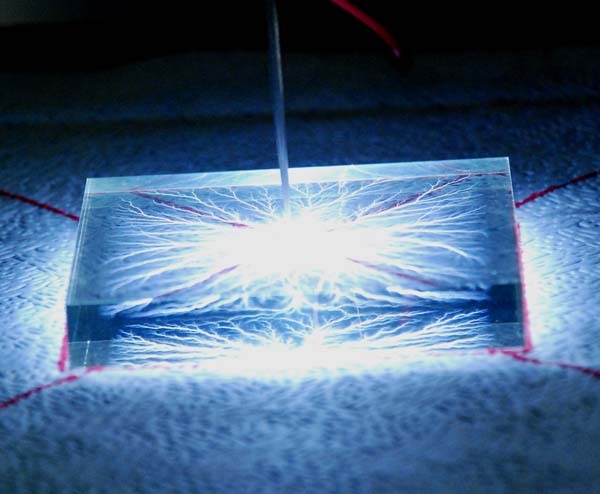 Read more excellent info about the process and history of Lichtenberg Figures. Your faces do well with concern on depth, and with the gerneal look of most features and the positioning. they are amazingly good though they have a few, only a few, minor detail problems, and that is truly “seeing” what you’re drawing and not what your mind thinks. it’s an agitating thing when you can see the shape of things but you’re mind changes it to suit it’s ideal of that feature. in any case though i absolutely adore your artwork, they’re brilliant. I’m not much of an artist, but those are faattsnic! I especially like the female face on the book…love when artists do their art on different mediums besides a canvas or sketch book!